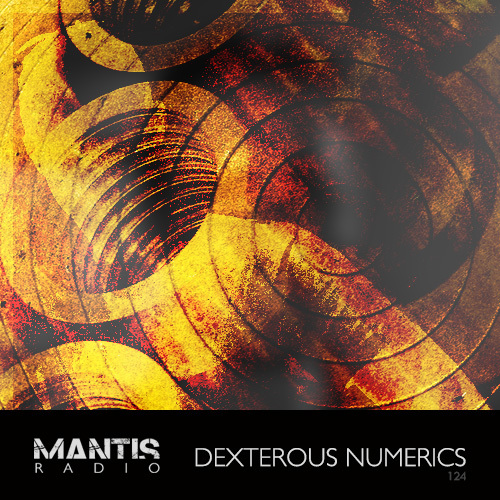 Stepping up to the showcase plate, British producer Dexterous Numerics. Raised on a diet of Depeche Mode, Thomas Dolby, The Art of Noise and a host of eminent 80s synth artists – Dexterous Numerics’ Stuart Flower followed a path into the stylings of electro with his Dexterous Numerics project. His is a love and passion for the wide range of electro from the early hip-hop breakbeats to the dystopia drives, through Detroit’s take on techno and Chicago’s on house. Over the past two years his Dexterous Numerics project has taken shape signing to Miami’s Devine Disorder label. Debuting with Dannz on their Bass Warriors Vol 2 release. His track quickly perked interest within electro circles leading to his first release proper: NanoMechanics. B-Boy Breakdown and his remix of Neonicle’s Hz both reached the #1 chart position on Juno’s electro best sellers list. Flower also releases work as The Electric Ocelot, his self described ‘technocentric’ alias. Late last year he presented a four tracker; his Neural Impulse EP on Finnish label Lasergum Records. Into 2013 and it’s already looking productive with a second EP due to drop on Devine Disorder in the next few months.